Looking for a Better DB2 z/OS Experience? 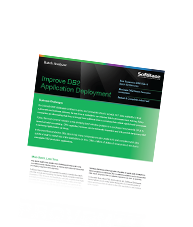 So SoftBase is happy to send you a detailed presentation that can help you develop more reliable, high-performing DB2 applications. Please complete the form below, and we'll provide some information that can improve your application efficiency. © 2019 SoftBase LLC. All rights reserved. SoftBase is a Fresche Solutions brand.